Laid back and relaxed, the Marseilles Dining Chair by Zuo brings easy style to your patio, pool area or deck. 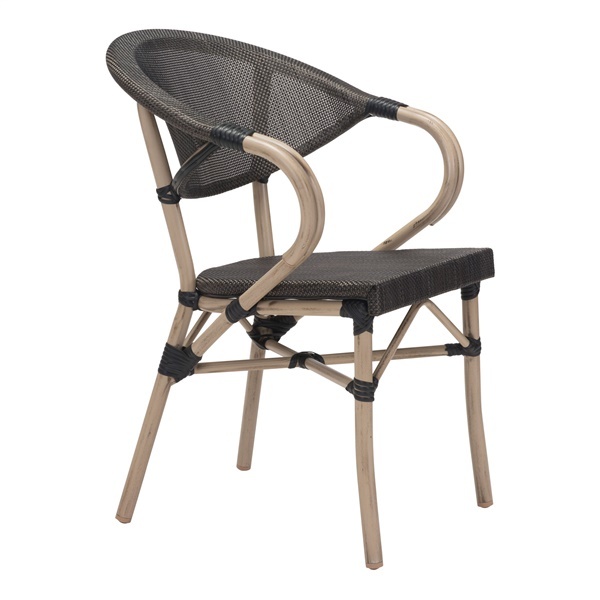 Its ultra sturdy aluminum frame boasts faux bamboo to create a simple yet strong look. The seat and curved back rest are crafted of synthetic mesh that is flexible for long hours of comfort. Sit these around the matching Marseilles Bistro Table and create a hangout that is relaxing and stylish.